If you’re like most of us learning aikido, you are diligently practising the aikido kata (some call them techniques) and hoping that you will make some sort of modest progress. Your dutiful teacher, also on this ladder of hopeful progression, is doing the same thing and passing on what he or she has learned to you. The trouble is, this is not a good recipe for successful learning. It’s simply what we’ve been handed as the way to do it in aikido, and it’s pretty much the only way we get to learn. And the longer we spend training aikido the greater the probability we will progress from one teacher to another, whether it’s in the same dojo or school or possibly in a new dojo or new school (because circumstances change, that’s life). And a bit of “old teacher bad — new teacher good” syndrome can creep in, where we discard or even denigrate what we have learned previously in favour of the new and exciting (but Einstein never felt the need to say that Newton had it all wrong, he simply presented a progression of understanding). This is quite human, but it ignores the process of learning, that there can be multiple models or descriptions of the same phenomena in varying degrees of detail and sophistication that can coexist without contradiction. When we look at the greats in aikido history we can see that they did not make progress by blindly following a single teacher within a single discipline. Sure they progressed within a system but most went outside for a while at least to get what they needed. They were part of the system but not bound by the system. Far better, I would suggest, to pursue andragogy (methods and principles used in adult education). Andragogy is predicated on self-directed, autonomous learners and teachers who are facilitators of learning. This is the antithesis of what is often presented as the “traditional” model for learning martial arts. Pedagogy tends to focus on explicit instruction of specific skills within a defined framework. While this promotes rapid skill acquisition within the framework, the skills can deteriorate rapidly under conditions of diversity or stress (for example, their application in the real world). 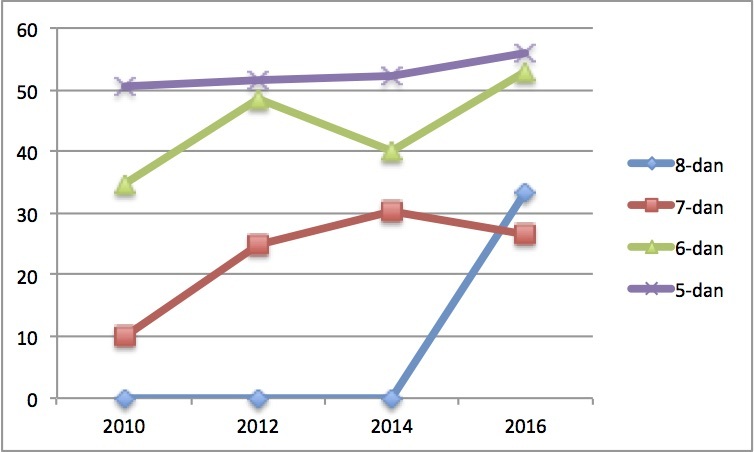 Andragogy tends to focus on other learning modalities like peer-to-peer learning, implicit learning and practising the performance of acquired skills. While we can see these modalities in the “traditional” model they are often restricted in scope. What we almost never see in “traditional” learning is the use of questioning and experimentation. Yes, you might ask the master a question, but a koan, platitude or deflection is often the response. What-if questions are definitely frowned upon — especially if the teacher doesn’t know the answer. Questioning — What are we trying to achieve? 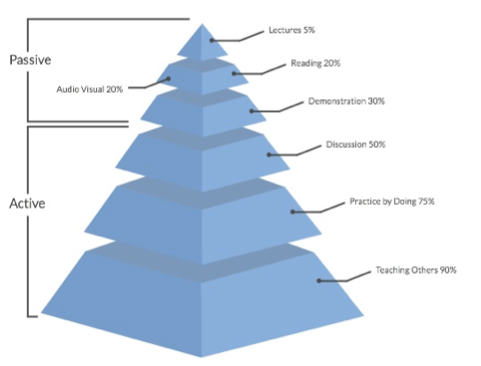 What are the learning outcomes? Can we learn, or teach, this better, or faster? — is critical to the process. So what can we do, if we want to take charge of our own learning? One approach is to keep asking questions and be quietly chastised. It’s a hard road. Another is to accept the hierarchical system as excellent for delivery of content but start to look at modalities that engage the other systems of learning. This is not an easy path either! 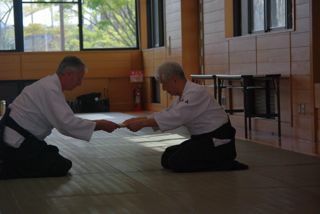 I’ve been delighted to work over many years with Jim Nicholls, who has been a senior student in three systems of aikido. His quiet manner belies the magnitude of his contributions to these organisations where he acted not as a top-down leader but toiled away in the trenches, regardless of his seniority, quietly taking us and his students to the next level. I suspect this is the outcome of his research into consciousness over many years and decades as a vocational leader and teacher in adult education around the country. 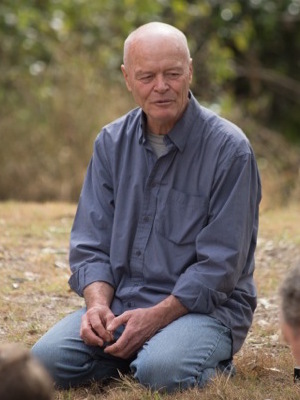 Based in the Northern Rivers since the early 1990s he is part of the zeitgeist of the region. He gets that real outcomes come from a community-based practice of learning and that the role of facilitator supports learning in an effective manner. I am delighted to be a participant in his upcoming Autumn workshop, March 19th at Alstonville Aikido, to deliver a little content and be a part (rather than apart) of the digestion, enrichment and questioning it will bring as we seek to find out a little more about the fascinating art of Aiki. Last weekends Great Ocean Aikido Spring camp in Sydney was my first time on the mat in quite a while and memorable… for all the right reasons. Saturday kicked off with a full program exploring the gamut of what we know of as Aiki. Sunter senseis exploration of the of atemi in the art of aikido through the vignette of TFT (Target Focused training) was an enjoyable revisitation of this method that we enjoyed some experience up in Brisbane a few years back (see reviews here and here). Whilst on the surface the exploration of the tool of violence might seem to be at odds with Aikido practice the training method really closes the gap through teaching and practicing 100% focus with no thought of oneself, dodging or blocking has so much in parallel with that power of the mind and extension (did I say ‘Ki’… well almost), finally to understand the tool of violence is to best to be able to choose not to use it. 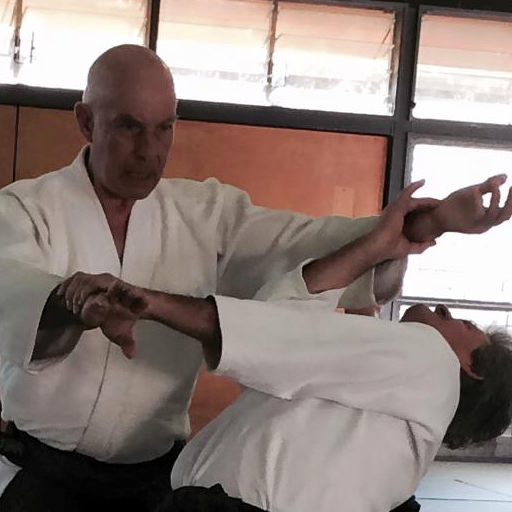 Of course no good deed goes unpunished and I was invited to share a little more on the biomechanics of Aikido I have been working on(here is last times look at toppling). My aim was to give nage the experience of being O’Sensei, achieved through removing all of Uke’s power and thus avoiding the trap of having to be powerful to do powerful aikido. Thankfully the thought experiment developed with ( Sunter and Nicholls Sensei) was also manifest on the mat where new comer to longtime practitioner were able to throw Uke with ease, pass the Ki test of unbendable arm (because there was no longer any Ki test to give), resist having nikkyo being applied to them and where uke were unable to strike….phew!!! Next up was to demonstrate this in simplified kata for which I chose to present as Nami-waza, as the technique itself resembles that of a wave (Nami being Japanese for wave) and then the class were invited to find or show this in existing kata or one of their own creation. We spent some time in the afternoon with more training and experienced a more rounded aikibody experience with Sunter sensei’s spinal mobility exercises used to round out O’Sensei’s Rights of Spring. 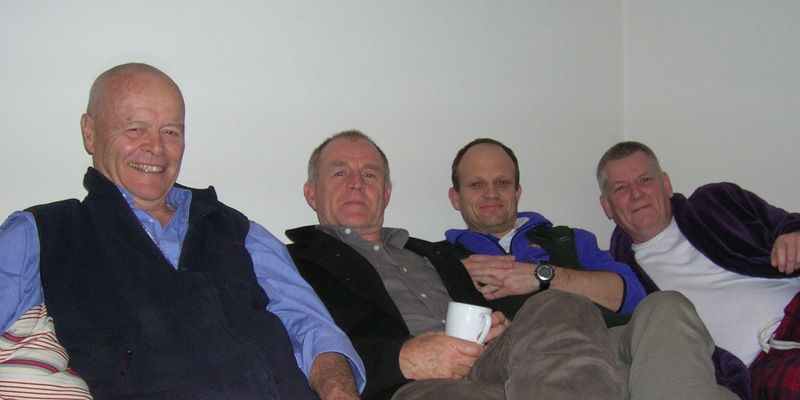 The very great influences of the sciences in particular physiology, biomechanics and psychology in our practice. After a late night discussing all these things, all to soon it was Sunday and time for the yudansha gradings. 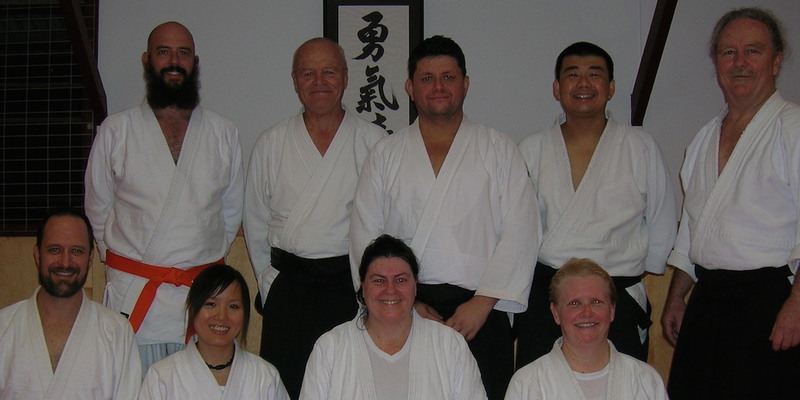 We were fortunate to have presiding on the Aikido in Sydney’s grading panel Andrew Sunter(head Instructor for Sydney, Jim Nicholas, Gordon Griffiths (a level 4 NCAS coach and Koshinryu Jujutsu Australia y7th dan from the AJF) with myself bringing up the rear. Mel was first up and can I say what a transformation has taken place since I last saw her a few years back. She mastered and controlled the line between uke and nage before taking ‘aiki’ and finishing each technique for a very strong Shodan. Mike was next and with the calm focus of a tiger behind the shoji screen he was always in control for Sandan. The final candidate was Bob running off the back of 2 evenings family celebrations and taking ukemi for the previous 2 gradings gave a masterful demonstration of ‘show us what you have got when you have nothing left to give’ also for a strong Sandan. I don’t think I have ever seen such capable gradings as these three, they are an exemplar of what sustained training and dedication can yield, a credit to Sunter Sensei’s instruction, the collegiate learning of the dojo and the benefits of focus on traditional aiki arts that is informed by science and combatives to produce very strong aikidoka. 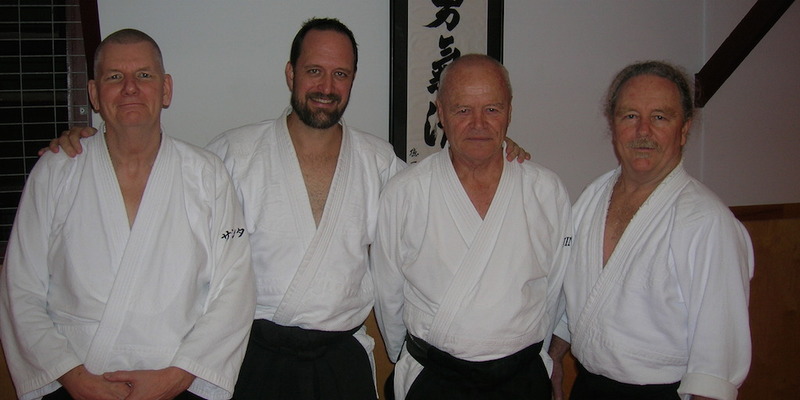 After attending the Sydney event in 2014, it was great to have Bill Gleason in Brisbane to continue the challenge of a whole new paradigm of aikido (or so it feels): Gleason Sensei insists it is the aikido that O-Sensei intended all along. He certainly brings strong credibility through his initial 10 years training in Japan, fluency in the language and a deep understanding of the history and culture. It’s hard to convey the seminar experience in words: feeling the movements and the demonstrations of the instructor and other participants first hand is obviously what it’s all about. So here are some random points which are provided with a strong dose of encouragement to seek out the source through Gleason himself, his many video demonstrations or through the Great Ocean Aikido dojos which are trying to work within this paradigm. Over the weekend it was easy to feel quite flooded with input and frustrated with not “getting it”. However, passing on some ideas to the Alstonville crew it was really pleasing to see how receptive they were and how much they could feel that “aiki” was actually happening. If we are pushing through the point of contact then aiki will not happen. Internal power comes from the earth and is expressed through moving the hara (which is the whole belly) and then led through the elbows. We are engaged and moving at the moment of contact. Aiki is about circles and spirals which are expressed through turning of the femur and humerus and engagement of the shoulders. Techniques emerge from applying these principles and cannot be planned. Always have the daling point of the hand facing the uke and the hand open and flat on top. Somehow this creates a six directions feeling in itself. “Pulling silk” was mentioned last time and I got a better feel for it this time – the feeling of lightly pulling threads from the hara out in all directions. A great exercise was to have someone hold your wrist when “zipped up” and then to pull silk. Some aikido magic happens. When developing the six directions as an exercise “stack it” from the chin down to the earth rather than upwards and then you will be grounded in your power. Always rotate around the point of contact so the contact stays where it is and there is no feeling of additional pressure. Keep the legs bent for bowing and unbowing. Too many practitioners have straight (locked) legs. This was further explained through the standing femur turning exercise where one fist extends down through the kua and the other extends outwards. Gleason recommended ongoing solo practice of this exercise (preferably with a mirror) to make sure both the pelvis and head remain straight. This led to more explanation (I think than last time) about opening and closing the kua in the groin and armpit areas as a way of internally turning the upper thigh and upper arm bones. Another more elaborated aspect was the ming men point in the lower back. We were encouraged to think of this point as the beginning of the arms i.e. all arm extension comes from there. One really nice exercise was to lead someone very gently while resting on their two upper arms simply by flexing the ming men point. Also a lot more talk of yin and yang in how we were moving. Gleason Sensei says ki is really “intent” and intent creates yin and yang in our body. This can be expressed as some spirals are outward and these are pushing other spirals inward (and vice versa) — so if the lower left kua is opening out and turning the femur which then moves the foot, this spiral continues around behind the body and moves the arm as the shoulder rotates and the upper right kua closes. These words hardly express the body concept but they are worth trying to articulate to show the subtlety and complexity of the movements. While we practised a lot of this slowly there was no doubt that Sensei could demonstrate any of it very fast and effectively. Ukes were often on the ground as if hit by a brief light whirlwind! We were reminded that nowhere in the martial arts does any master suggest we should blend with our partner. We have our own internal blending and do what we want — the uke merely follows (and hopefully falls) from what happens around them. I hope I have conveyed that this was a very comprehensive and enlightening weekend however none of it is about the words but simply about practice — and for some of us — more and more practice! Big thanks to Steve Seymour, the Kim Walkers and Mike Nash for all their efforts facilitating the visit. Bill Gleason will not be in Australia next year because of his busy schedule. The nearest opportunity will be Hawaii and already several players are saving to go.